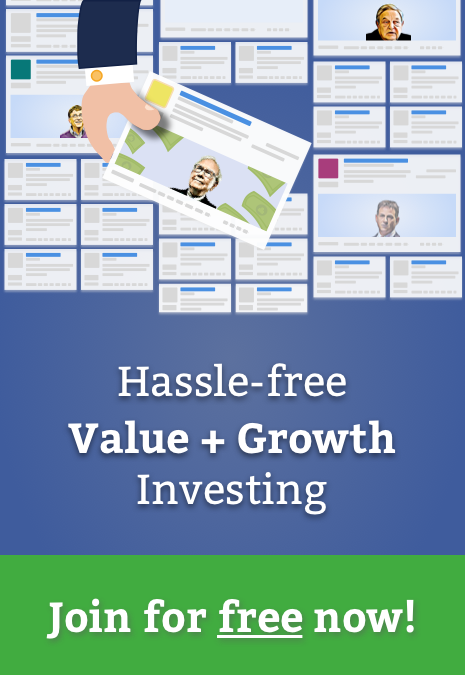 Discover fresh and valuable investment ideas driven by industry leading technology. United Parcel Service, Inc. (NYSE: UPS) trades at a P/E multiple of 17.8x, which is lower than the Industrials sector median of 21.8x. While this makes UPS appear like a stock to add to your portfolio, you might change your mind after gaining a better understanding of the assumptions behind the P/E ratio. In this article, I will break down what the P/E ratio is, how to interpret it and what to watch out for. A Multiples Valuation, also known as a Comparable Companies Analysis, determines the value of a subject company by benchmarking the subject's financial performance against similar public companies (Peer Group). We can infer if a company is undervalued or overvalued relative to its peers by comparing metrics like growth, profit margin, and valuation multiples. The P/E ratio is not meant to be viewed in isolation and is only useful when comparing it to other similar companies. Since it is expected that similar companies have similar P/E ratios, we can come to some conclusions about the stock if the ratios are different. 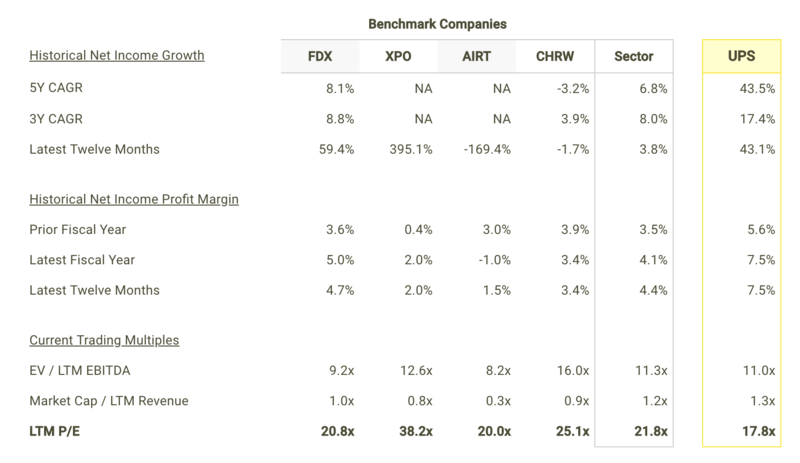 I compare United Parcel Service's P/E multiple to those of FedEx Corporation (NYSE: FDX), XPO Logistics, Inc. (NYSE: XPO), Air T, Inc. (NASDAQ: AIRT) and C.H. Robinson Worldwide, Inc. (NASDAQ: CHRW) in the chart below. Since United Parcel Service's P/E of 17.8x is lower than the median of its peers (23.0x), it means that investors are paying less than they should for each dollar of UPS's earnings. As such, our analysis shows that UPS represents an undervalued stock. 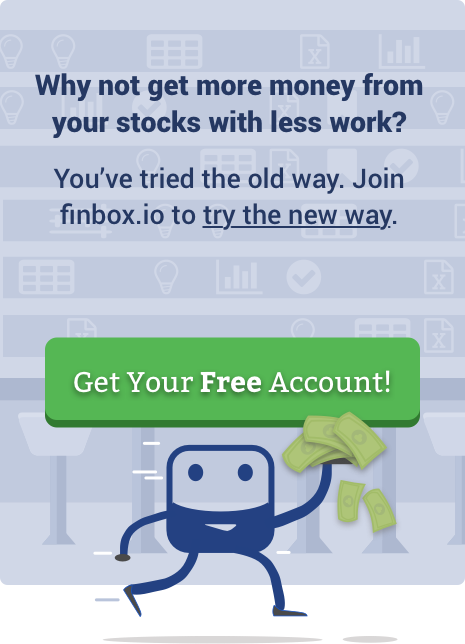 In fact, finbox.io's P/E Multiple Model calculates a fair value of $121.52 per share which implies 17.2% upside. 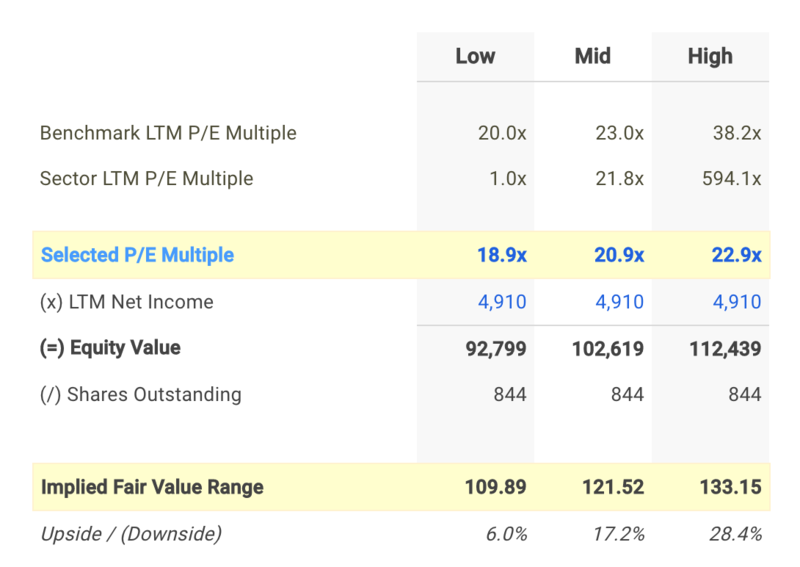 Note that the selected multiple of 20.9x in the analysis above was determined by averaging United Parcel Service's current P/E multiple with its peer group and sector. Before jumping to the conclusion that United Parcel Service should be added to your portfolio, it is important to understand that our conclusion rests on two important assumptions. (2) the selected peer group stocks are being fairly valued by the market. If the first assumption is not accurate, the difference in P/E ratios could be due to a variety of factors. 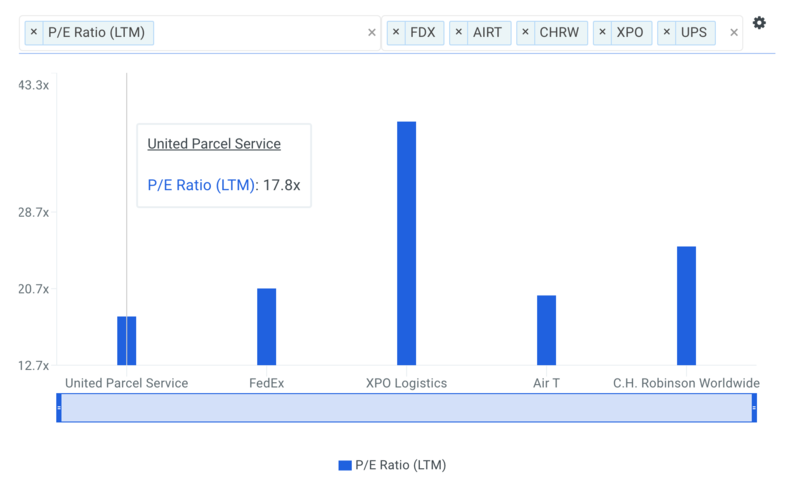 For example, if you accidentally compare United Parcel Service with higher growth companies, then its P/E multiple would naturally be lower than its peers since investors reward high growth stocks with a higher price. Now if the second assumption does not hold true, United Parcel Service's lower multiple may be because firms in our peer group are being overvalued by the market. Valuation Metrics: what is United Parcel Service's EBITDA less CapEx multiple and how does it compare to its peers? This is a helpful multiple to analyze when comparing capital intensive businesses. View the company's EBITDA less CapEx multiple here. Forecast Metrics: what is United Parcel Service's projected EBITDA margin? Is the company expected to improve its profitability going forward? Analyze the company's projected EBITDA margin here. Efficiency Metrics: how much free cash flow does United Parcel Service generate as a percentage of total sales? Has it been increasing or decreasing over time? Review the firm's free cash flow margin here. Brian is a founder at finbox.io, where he's focused on building tools that make it faster and easier for investors to research stock fundamentals. Brian's background is in physics & computer science and previously worked as a software engineer at GE Healthcare. He enjoys applying his expertise in technology to help find market trends that impact investors. Brian can be reached at brian@finbox.io. As of this writing, Brian did not hold a position in any of the aforementioned securities and this is not a buy or sell recommendation on any security mentioned. Previous story Is United Technologies' Management Utilizing Shareholder's Equity Efficiently?